Carlo Romano, was born in Rome , where he began studying the piano at the age of 7 and was a member of the "Saint Peter's in the Vaticans" Choir under the direction of Armando Renzi. After studying the oboe in the prestigious school of Giuseppe Tomassini (the former principal oboe of the Orchestra dell'Accademia di Santa Cecilia" until 1972. Obtaining a scholarship for master classes held by M° Franco Ferrara at the Accademia di Santa Cecilia, he gained experience with the major simphonic repertoire. 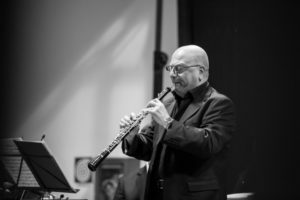 In 1977 Carlo Romano won the position for first oboe in the "Carlo Felice" Opera Orchestra in Genua where he remained until 1978 when he became the First Soloist Oboe in the Orchestra Sinfonica Nazionale della RAI di Roma". He currently holds the same position in the l'Orchestra Sinfonica Nazionale della RAI in Tourin, the Orchestra that was formed after unifying the Italian Radio Orchestras in 1994. He has also collaborated with the Santa Cecilia Orchestra in Rome and the "Maggio Musicale Fiorentino Orchestra" in Florence. Carlo Romano has been invited to partecipate in many festivals as a soloist and in chamber music groups both in Italy and abroad (Japan, Corea, France, Switzerland, Germany, England, Spain, Holland, Belgium and USA, Central America, South America, Russia etc…) gaining such critical acclaim to be considered one of the major italian oboists. 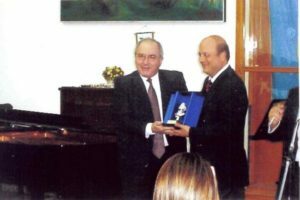 He is currently member of several chamber groups, including “Il Quintetto di Roma”, the “Roma Sinfonietta”, as well as several chamber formations within the “Orchestra Sinfonica Nazionale della RAI” and has also collaborated with the prestigious “I Virtuosi di Roma” conducted by Renato Fasano. With a consolidated repertoire spanning from the Classical to theContemporary, Carlo Romano has performed the debut of many pieces dedicated to him by present-day composers. As solist, he had the possibility to interpret different first executions and a big part of classical repertoire with different italian and foreign orchestras (Orch. Sinf. di Sanremo, Orch. Lirico-Sinf. di Cagliari, Orch. Sinf. Abruzzese, Orch. 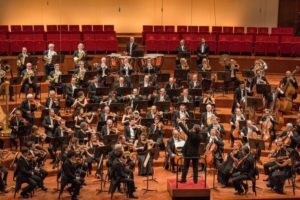 Regionale del Lazio, Orch. Sinf. di Lecce, Solisti Aquilani, Orch. 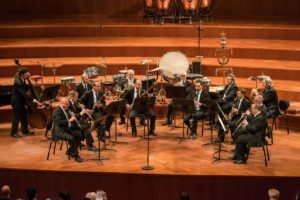 della Radio Polacca, Orch. della Radio Bulgara, Orch. da camera di Bonn, Orch. da camera della Staatsoper di Monaco, ecc. 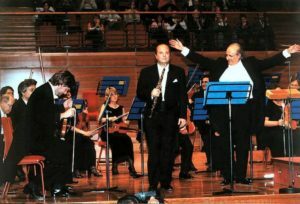 With "Orchestra della Rai di Roma" and the Orchestra Nazionale della Rai in Turin, he has performed several of the most important works of the oboe repertoire including concertos by (Bach, Marcello, Salieri, Vivaldi, Haydn, Mozart, Strauss, Maderna, Donadoni, Lieti, Arcà and D'Amico), and has collaborated with many well-known orchestral conductors such as (Böhm ,Giulini, Gardiner, Gergiev, Maazel, Mehta, Muti, Prêtre, , R. F. De Burgos, Inbal, M. W. Chung, Matacic, Marriner, Dutoit, , Sawallish, Sinopoli, Temirkanov etc...) In 1991, in the bicentenaire of Mozart's death, Carlo Romano was invited to perform the oboe concerto Kv314 and the Sinfonia Concertante Kv 297b on a tour with the Chamber Orchestra of the State Opera of Munich. In addition to his solo career, Carlo Romano is also a dedicated teacher, having taught at the L'Aquila Conservatory and in courses and Master Courses at the "Scuola di Alto Perfezionamento di Saluzzo", "Accademia O. Respighi" of Assisi, "Accademia Pescarese", "Teatro Lirico Sperimentale di Spoleto", courses at Palmi and Lanciano and at the festival "Musica de Verão" in Brasil. He has recorded for film scores, working with internationally well-known composers. Carlo Romano has worked together on Ennio Morricone for 40 years, playing a big part of his film and chamber music in concerts and recordings all over the world. Carlo Romano partecipats regularly in juries for National and International contests and auditions for his instrument and chamber music.